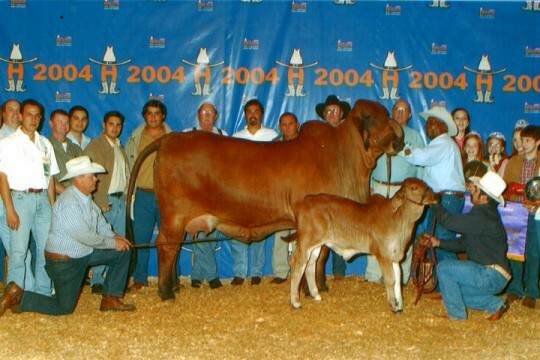 A historic Red Brahman Bull, VL Rojo Grande 4/95, is a sire at Santa Elena Ranch who has sired multiple National and International Champions, including, the 2004 International Grand Champion Cow. 4/95 progeny can be found in the U.S., Australia, Colombia, Panama, Costa Rica, Venezuela, The Dominican Republic, Brazil, Guatemala and various other countries. His daughters are known for their production, fertility, high egg volume and maternal excellence. 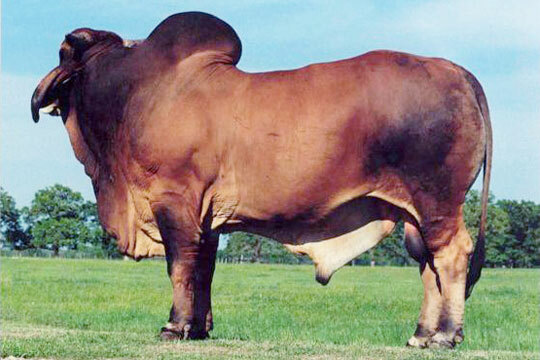 4/95 was a tremendously heavy-muscled bull with a strong top line. He was extremely correct in term of structure. 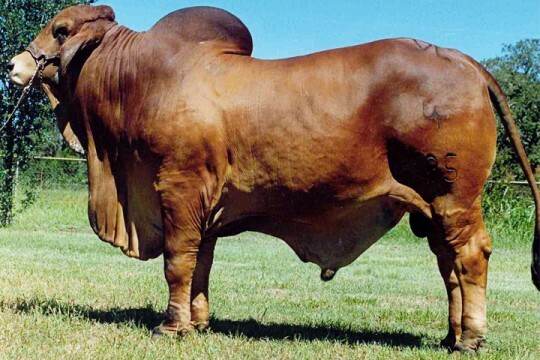 His ideal breed character is well suited to meeting the needs of the Brahman Breed in the tropic. . We have retained many of his daughters in our herd because of their excellence and superior qualities. 4/95’s superior genetics will incorporate frame, color, and structure into your herd, plus the high economic trait of fertility and milking ability. 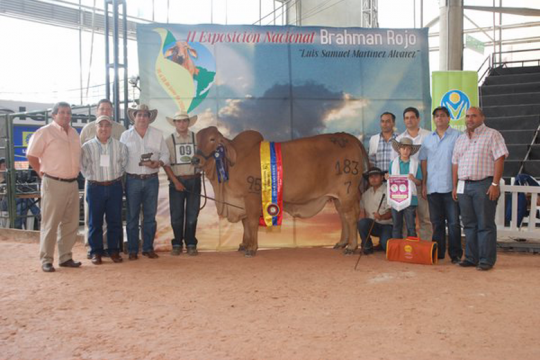 His offspring breeds tremendous eye appeal and American Brahman breed character. We recommend 4/95 for use on medium frame females with muscle and clean line. He will incorporate frame, color, and structure into you herd, in addition to adding the high economic trait of fertility and milking ability.